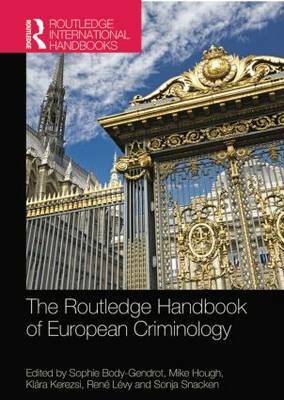 This new book brings together some of the leading criminologists across Europe, to showcase the best of European criminology. This Handbook aims to reflect the range and depth of current work in Europe, and to counterbalance the impact of the - sometimes insular and ethnocentric - Anglo-American criminological tradition. The end-product is a collection of twenty-eight chapters illustrating a truly comparative and interdisciplinary European criminology. Fifteen chapters examining the variety of institutional responses, exploring issues such as policing, juvenile justice, punishment, green crime and the role of the victim. Special offer of GBP125.00 for three months after publication. Offer expires 23rd October 2013.